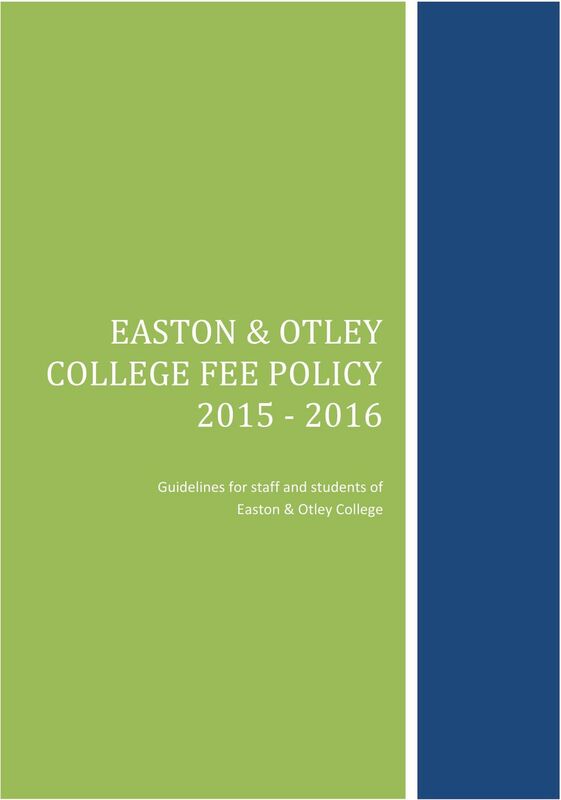 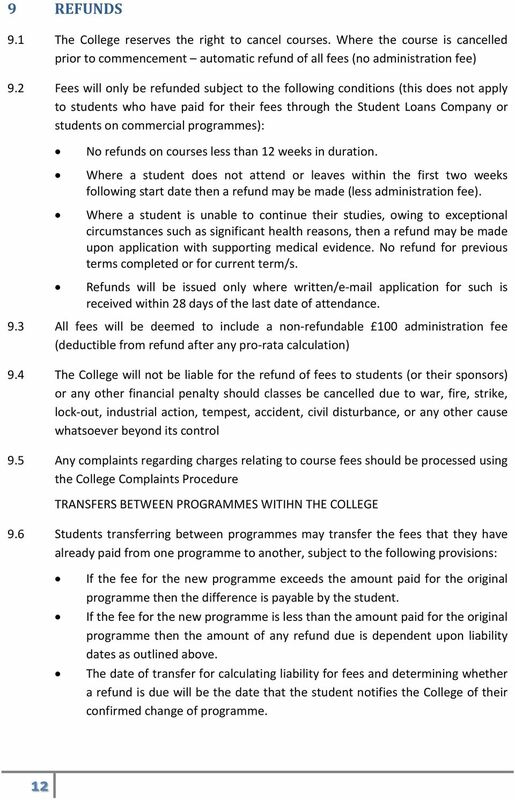 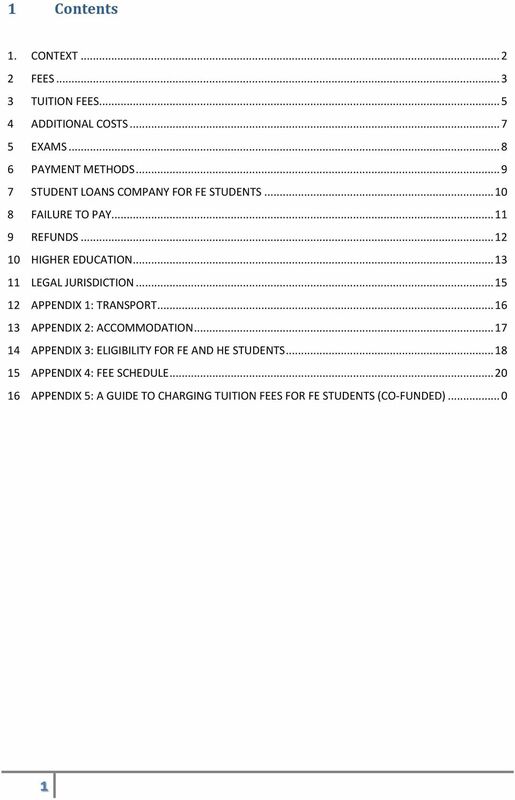 Download "EASTON & OTLEY COLLEGE FEE POLICY 2015-2016. 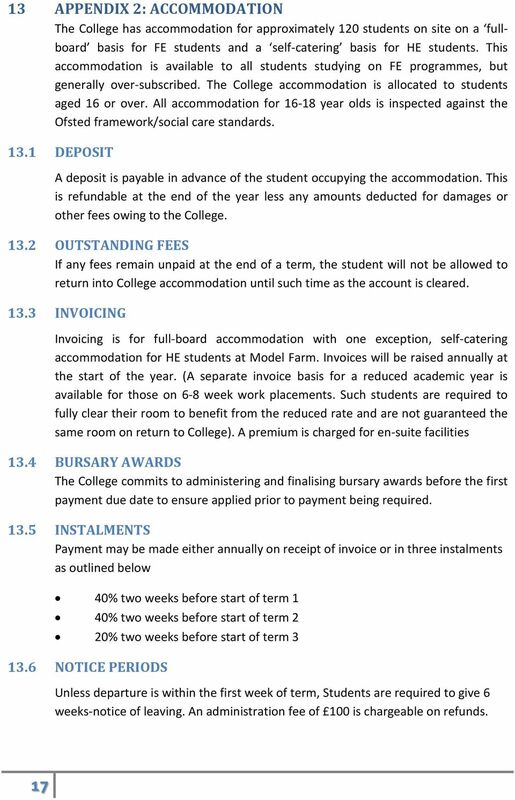 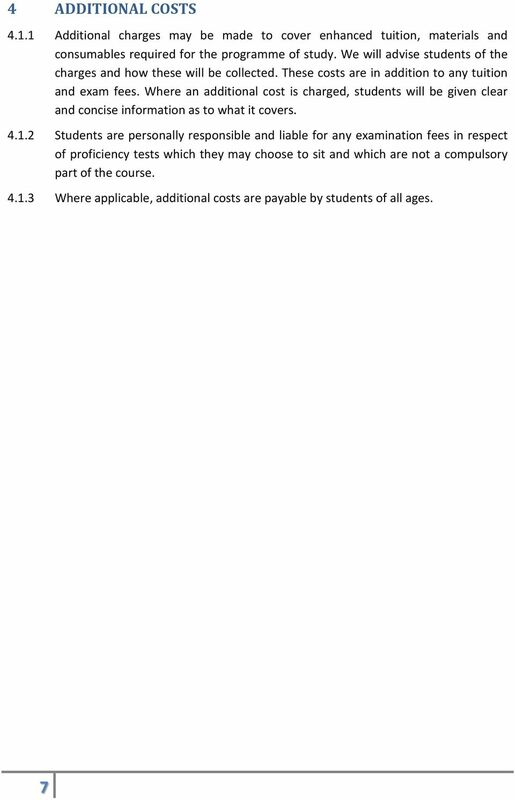 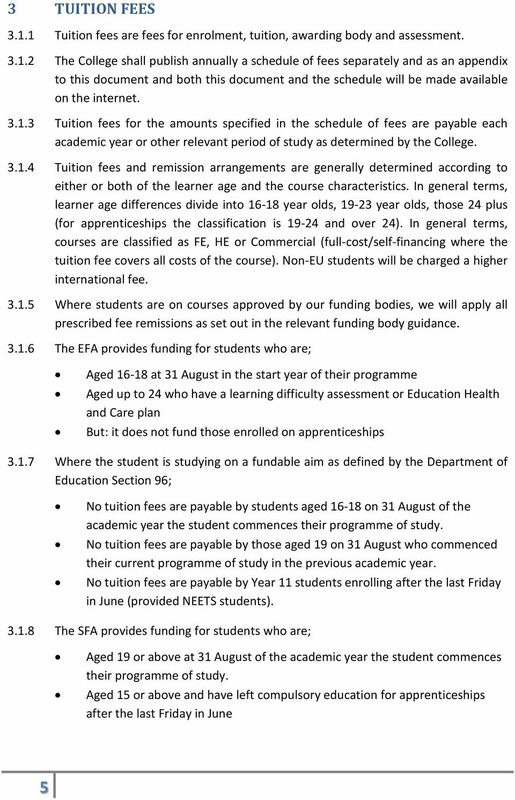 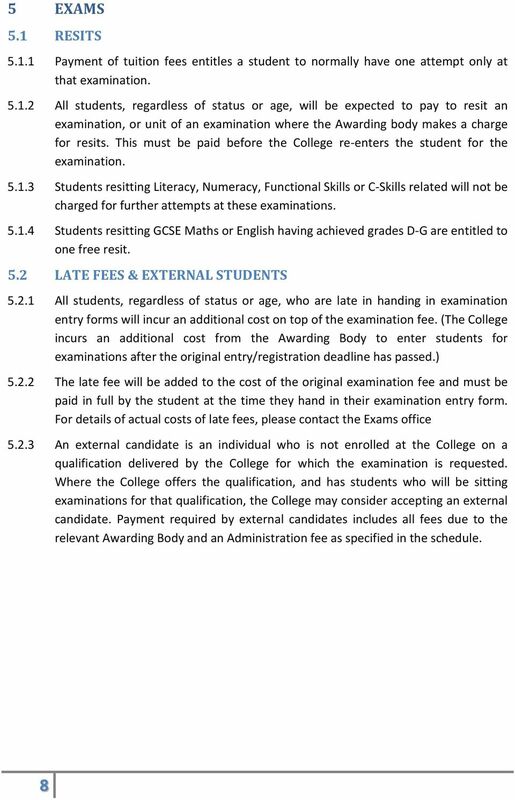 Guidelines for staff and students of Easton & Otley College"
19 14 APPENDIX 3: ELIGIBILITY FOR FE AND HE STUDENTS 14.1 Home Students and International Students The below is a very brief summary and for indicative guidance purposes only. 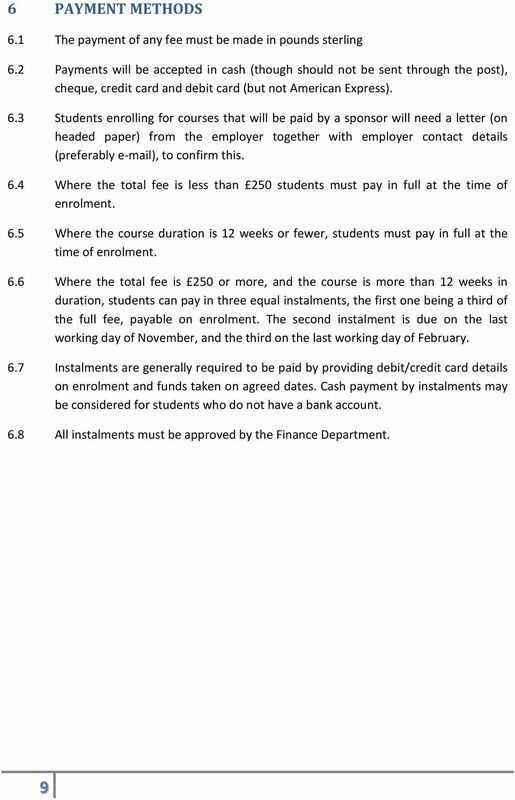 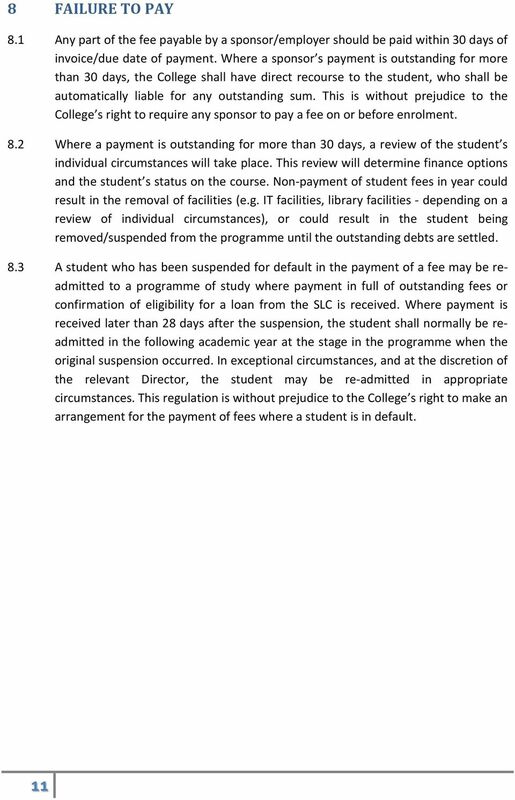 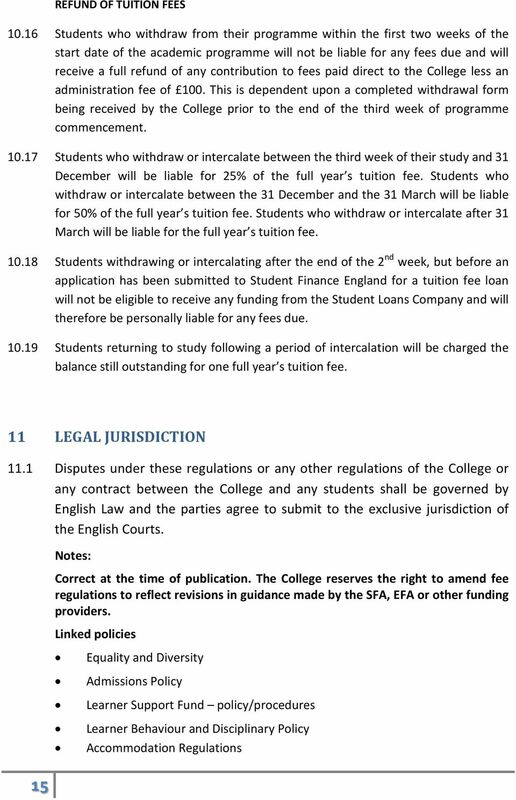 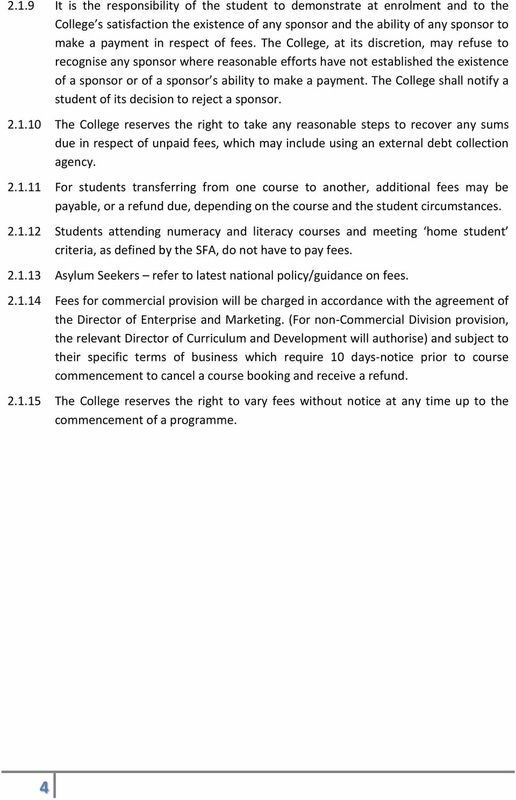 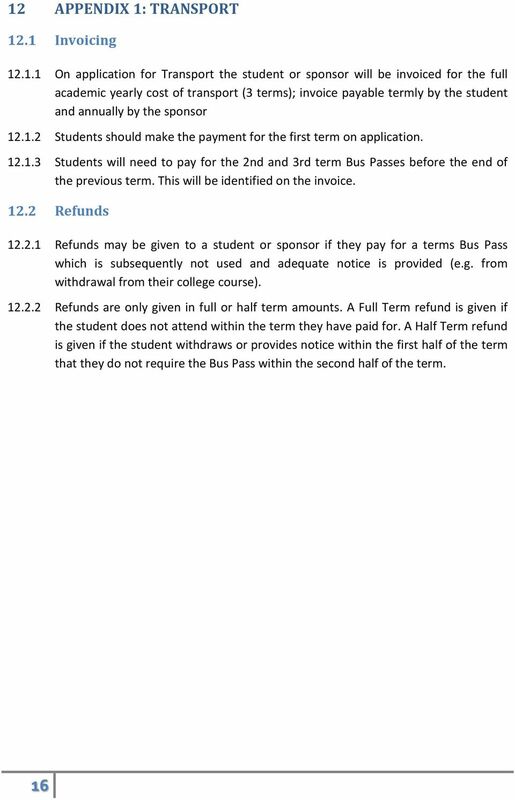 For more detailed information, for HE please refer to the UKCISA website at for FE please refer to the SFA website at The Education (Fees and Awards) (England) Regulations 2007 govern the definition of home (UK/EU) and overseas (hereafter referred to as international ) students for the purpose of fees. 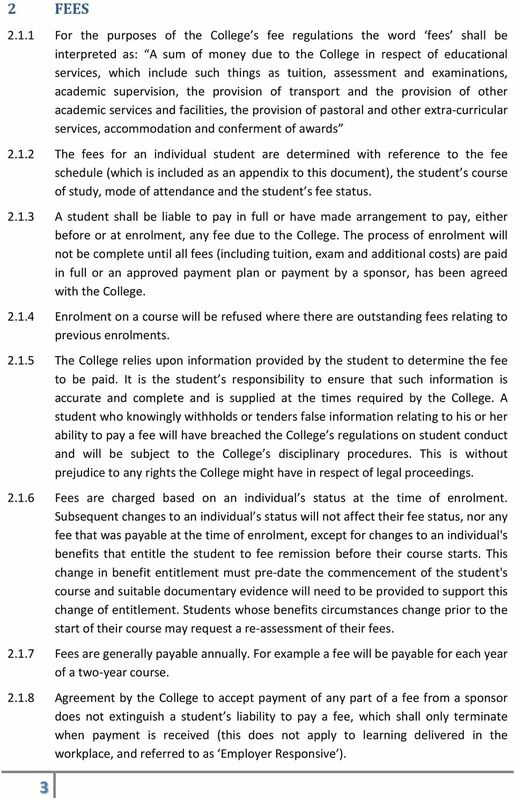 These regulations enable individual institutions to classify the fee status of students. 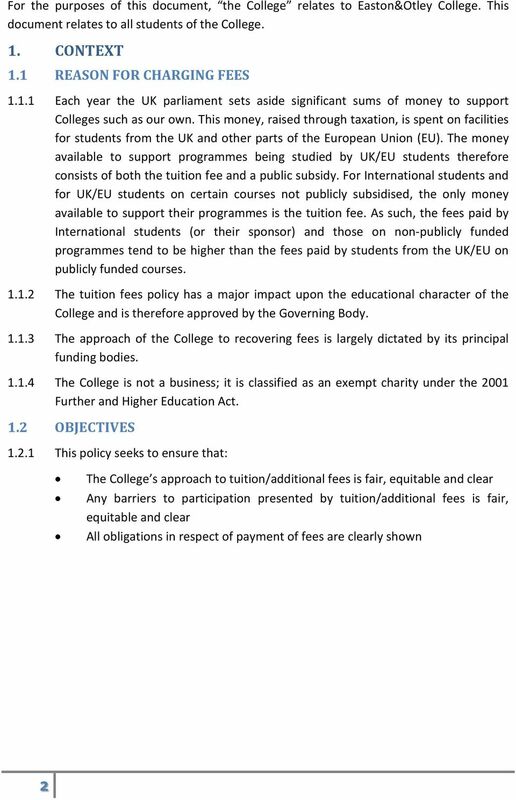 The onus is upon individual students to satisfy the institution that they meet the criteria to be classified as home status for the purpose of fees. 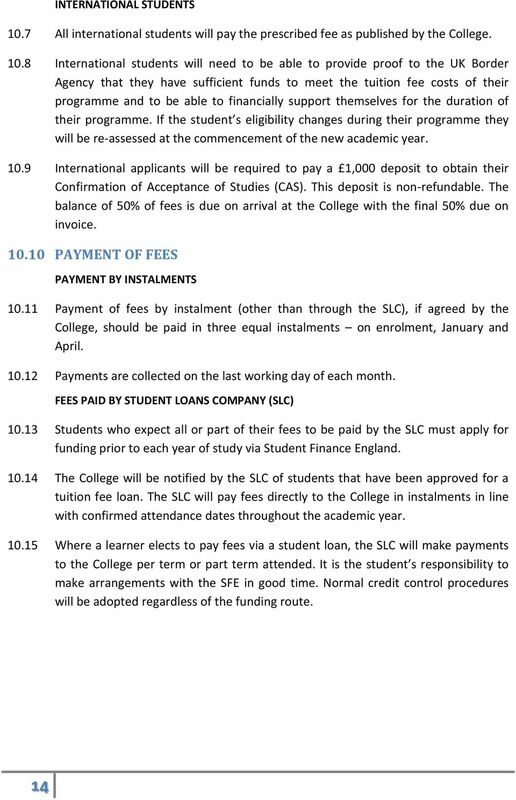 The College will make the final decision on whether a student is home UK, home EU, or an international student, based on the facts that the student provides. 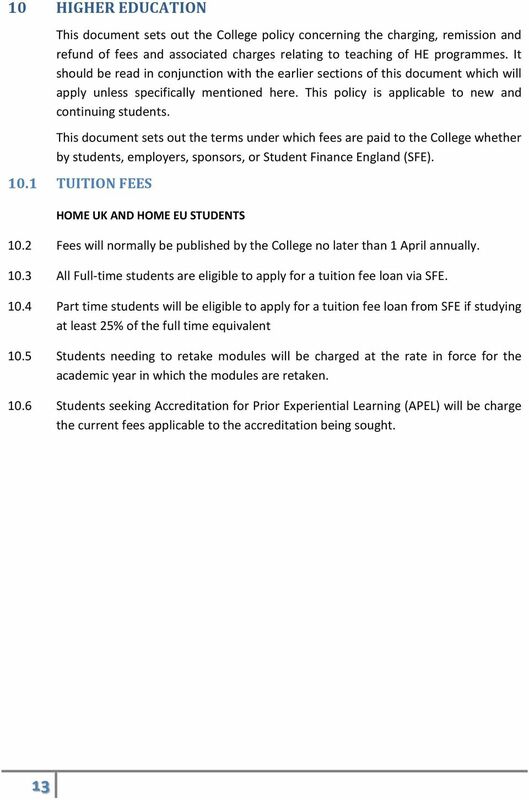 Only certain categories of students will be charged the home fee Home UK Students: In order to qualify as a home UK student, the student must meet all of the following criteria: 18 They must be settled in the UK and Islands (Channel Islands and the Isle of Man) on the first day of the first academic year of the programme. 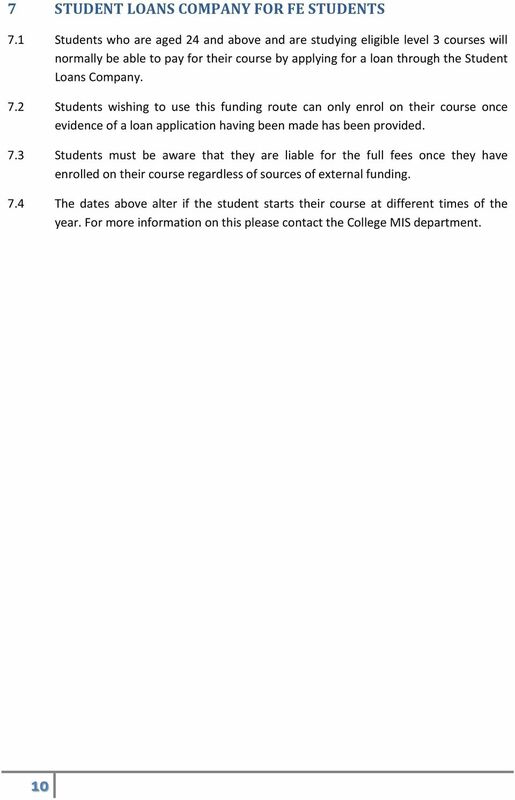 They must also have been ordinarily resident in the UK for the full three year period before the first day of the first academic year of the programme. 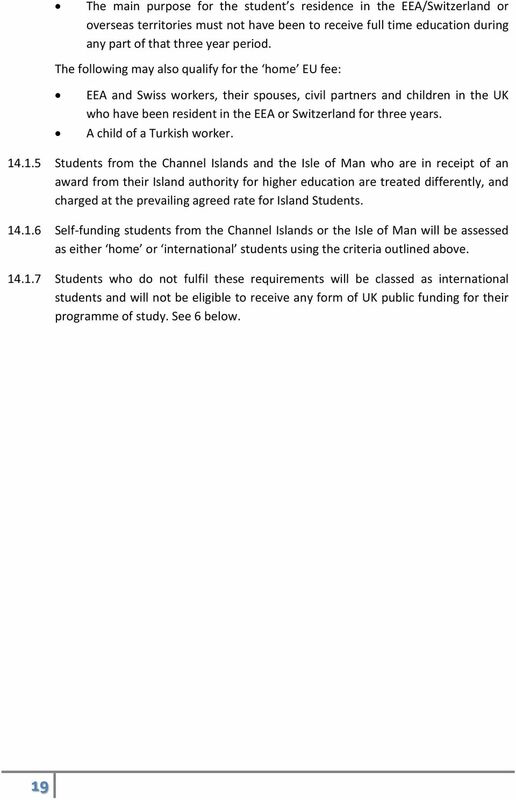 The purpose for their residence in the UK and Islands must not have been wholly or mainly for the purpose of receiving full time education during any part of this three year period. 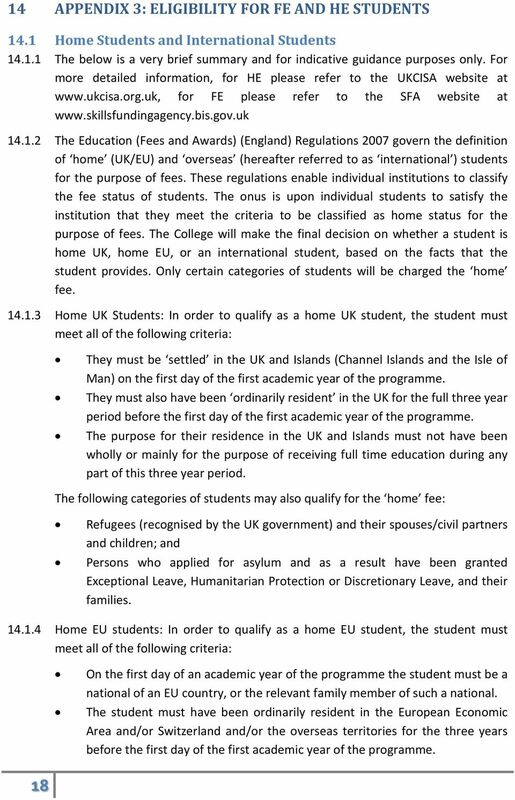 The following categories of students may also qualify for the home fee: Refugees (recognised by the UK government) and their spouses/civil partners and children; and Persons who applied for asylum and as a result have been granted Exceptional Leave, Humanitarian Protection or Discretionary Leave, and their families Home EU students: In order to qualify as a home EU student, the student must meet all of the following criteria: On the first day of an academic year of the programme the student must be a national of an EU country, or the relevant family member of such a national. 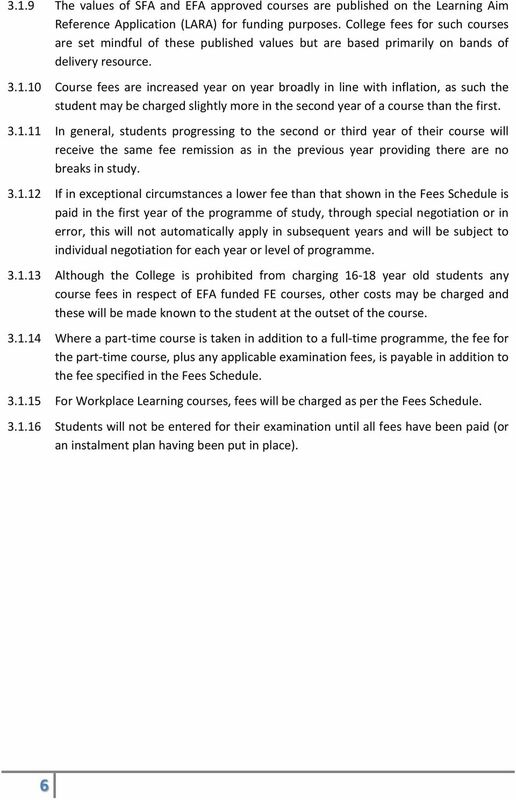 The student must have been ordinarily resident in the European Economic Area and/or Switzerland and/or the overseas territories for the three years before the first day of the first academic year of the programme.